The 3M Cardiology S.T.C Stethoscope offers you the precision in ergonomic design and quality you are looking for. This model is designed to allow you to move easily between various sites of the body using its soft, comfortable and easy-to-grasp chestpiece. Featuring a patented tunable diaphragm, which allows the user to conveniently alternate between the low- and high-frequency sounds without turning over the chestpiece. This superior single sided stethoscope meets the highest acoustic response. Created with a special design to prevent you from hearing unwanted “rubbing noises.” The tube contains two parallel sound channels created to enhance sound quality and minimize irrelevant noise. You can expect peak performance with a nine rating on a 1-10 performance scale. This stethoscope includes patented Littmann Snap Tight soft-sealing ear tips for your comfort. You will get optimal sound transmission with its anatomically designed headset which strategically and comfortably fits in your ear. Your patients comfort is assured when the nonchill rim and diaphragm is applied. 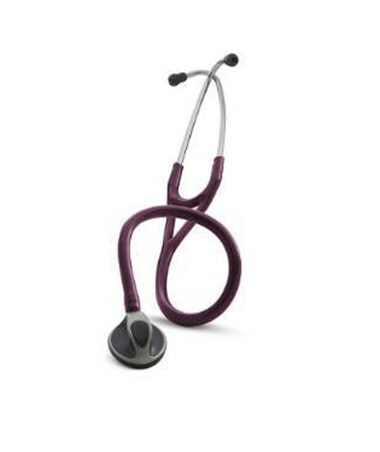 The 3M Cardiology S.T.C stethoscope comes in different colors to suit your style and has a six-year warranty, plus lifetime service and repair policy. Dual-lumen design eliminates unwanted tube noise. One tube contains two parallel sound channels intended to enhance sound quality and minimize extraneous noise. Comfortably angled, anatomically correct headset. Durability is demonstrated by the fact that the headset can be reliably flexed one million times. Six year warranty includes free repair during this period on any manufacturing or material defect(s) except in the cases of obvious abuse or accidental damage.